Find your inner peace and balance! Magical, Mystical and Beautiful Yoga Meditation Retreat in India!!!! Take this precious time out of your life and immerse yourself into the magic and mystery of Vedic Culture, spiritual and best yoga retreats India!!!! 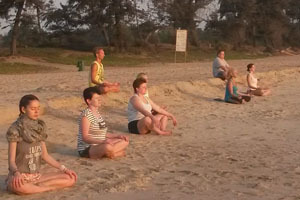 Heal your body, mind and soul in our peaceful, beautiful and best Yoga retreat in Goa. With gifted and highly s killed Yoga teachers who teaches from their hearts will guide you along your path of finding your inner true self and and discover inexplicable bliss and peace!Breathe deeply…immerse yourself in our beautiful palm tree garden at the shores of the ocean right on the sand and surrounded by a spellbound tranquility. If you are seeking tranquility, balance and meditational surroundings this beach retreat is meant for you. You will find yourself immersed in the beauty of the last unspoiled beach in Goa in South. This is not a retreat for people who seek late night parties, tourist vendors, beach shops and barking dogs. It is truly a place for people seeking peace of mind, falling asleep to the rolling sounds of waves only broken by the chirpings of birds. We often try to solve our problems by fixing the outside world while forgetting that before we can fix the outside world we need to fix ourselves from the inside, with Yoga meditation retreat India. Rather than attempting at ’outer engineering’, we therefore need to focus our energy on ’inner engineering’. If you heal yourself from the inside the rest will follow. Modern day hectic urban life patterns drains your prana and intoxicates your body with stress hormones that are the basic cause of anxieties, depression and disease. As you chase goals of your life you receive undesirable by-products like dissatisfaction, imbalance and disharmony. Every negative through, anger and stress imprints itself on body and mind. The good news is that you can remove negative blockages, mental as well as physical, through asanas, pranayamas, kriyas and meditation. At Vishuddhi, we offer the chance of taking a complete break from your everyday routine, connect to yourself, recharge your energy channels and find inner peace and harmony. 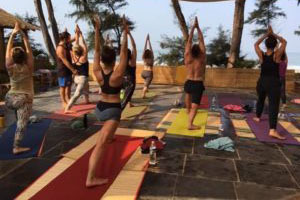 If you are serious about experiencing the depth of Yoga, then what better place to do so than India – Land of cultural diversity, exotic Gods & Yoga…India ? Vishuddhi Yoga retreats follows a definite schedule. You’ll rise at 6:0 a.m., meditate and do pranayamas through dawn on the beach. During the day you will follow two sessions of Yoga (meditation, kriyas and asanas) and in the evening we end the day with sunset meditation, chanting or yoga nidra. In the afternoon we have an interactive discourse session where you can ask questions related to spirituality, life and yoga. You will acquire knowledge on Yoga and Vedic philosophy applied to your everyday life and situations. You will get a chance to visualise the Vedanta traditions and customs from close, you will listen to inspiring stories from Indian mythology, you will be acquainted with the basic Ayurveda way of living and eating as per your body and mental constitution. At the retreat you will additionally be able receive Ayurvedic Massages and to consult an Ayurvedic Therapist. 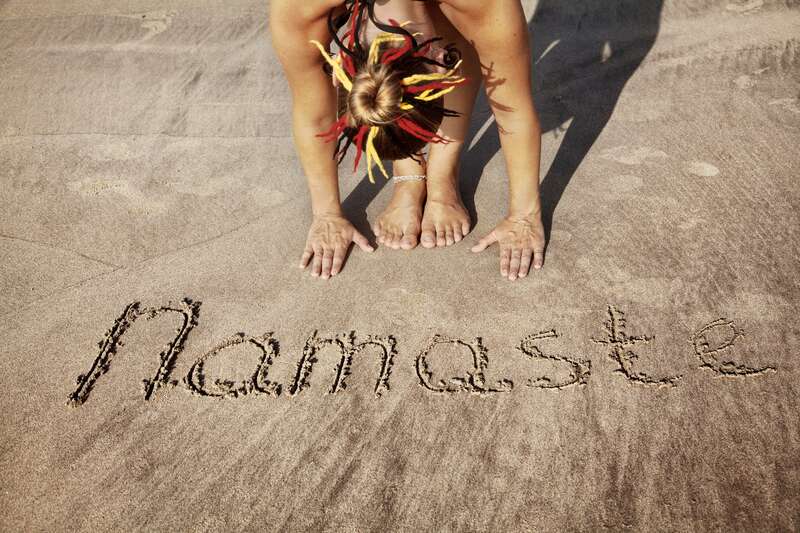 A Yoga retreat is an excellent way to begin or deepen your yoga life. It is likely to change your life if you follow up with practice back home. Based on your interest and inclination, you can choose any of the retreats enlisted below. We would love having you here and share the beauty of the spiritual world of Yoga!!! Experience the magic of Kundalini Yoga. There is nothing magical about kundalini awakening – but its effect may be!!! With regular practice anyone can experience kundalini awakening. It does not happen over night and it is unlikely to happen during a short retreat. But what is likely to happen is that you will feel more relaxed, harmonious and balanced. During this course we will teach you the basic techniques of kundalini yoga that will help you to awaken your kundalini energy. If you practice kundalini yoga regularly the quality of your life will improve. You will become more balanced, harmonious, energised and happy. And with time, if you practice consistently, you are likely to experience the magic of kundalini awakening. The Kundalini is untapped energy at the base of the spine that can be awakened and raised up through each of the seven chakras from Mooladhara to Sahrshara. Full enlightenment occurs when this energy reaches the crown chakra (Sahrshara) above the head and our consciousness after purification becomes one with the super divine consciousness. Our Kundalini Yoga class begins with a short chant followed by a warm-up to stretch the spine and improve flexibility. The main work of the class is called a kriya, which is a proscribed sequence of poses, moving consciousness within chakras, mudras and pranayama that focuses on precise energy centres of the body. The class ends with a meditation or Yoga Nidra and a closing spiritual prayer. Join us on the journey of learning this deep and mindful form of Yoga that offers a gateway for achieving health for the whole body, mind and soul!!! Yin Yoga is a deep and mindful form of yoga that helps you to release stress and anxieties and to achieve deep relaxation. Yin Yoga regenerates your tissues and joints, improves the function of your organs, rejuvenates your nervous system and revitalizes the energy flow in your body. If you dedicate yourself into serious practice of Yin Yoga, then you will experience emotional healing, balance of mind-body and profound changes in your life. In Western societies, we lead an unhealthy Yang lifestyle characterized by tempo and stress. This lifestyle creates imbalances that manifest itself at the physical level of the body in the form of muscular pain, stress, dysfunctional organs and heart problems. The cure well be the opposite of what you feel you need. The remedy against depression, stress and burn out is to enmesh you into the slow practice of ‘Yin yoga’. Unlike the physical ‘Yang’ styles of Yoga ‘Yin’ Yoga reaches deeper and deeper into your body and mind. In this retreat you will give to your heart, joints, tissues and organs the life force (‘prana’ or ‘chi’) which they need to heal. The day ends with a mindful practice of yoga nidra, active relaxation and meditation. Eligibility:Both experienced yoga practitioners as well as beginners may benefit immensely from this retreat. Teachers are educated yoga therapist and beginners may be helped with props and blocks to stay longer in the asana positions. Mantras and Meditations from the Tantra inspires enthusiastic students and people who wish to become introduced to the mystical spiritual powers of Mantras and Meditations. Mostly people in West have incomplete knowledge about Vedic Mantras due to stigmas or cultural pre-justices. There is a lack of deeper practical experience and understanding on how mantras can exert a positive influence in every sphere of life, not only solving problems and obstacles in the professional, personal and material world but also opening the doors for spiritual light and wisdom. Exotic and rare Meditation techniques from the Tantras make it easier for any beginner to start and to get inspired to meditate. Meditation is the highest form of Yoga but it not only for awakened higher Yogis. Everybody can experience peace happiness and bliss. 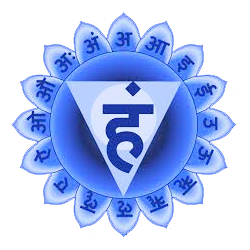 The course is designed for enthusiastic Yoga students or practitioners who are curious to know about Mantras and Meditation techniques. What are Mantras: Mantra and Yoga Concepts, influence in our life, ways to recite mantras, preparation,initiation, mantra recitation methods and tools, types of mantras, introduction to vedic deities, vedic rituals and mantras, code of conduct of mantra sadhana, purpose and precautions, vedic fire rituals in mantra sadhana. This course is designed only for experienced Yoga teachers who would like to learn essentials of Yoga Therapy to heal and help people with disorders related to joints and muscular skeletal system of back, knees, and cervical regions. Beginners are advised to join other courses. Note: Kindly email us for course fee with twin shared room and non-sharing room. 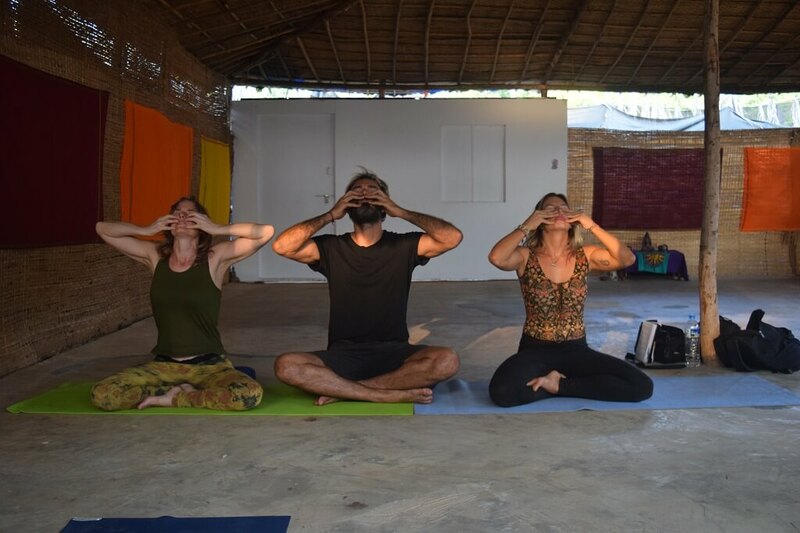 We can always arrange the customized Yoga retreats and courses privately or with groups if above schedules are not suiting with your arrival and travel plans to Goa or in case you are arriving in months before or after October 2018 – April, 2019. We would love you to register your presence with us!